Welcome to Chevy Chase Dermatology, LLC, a premier, award-winning, integrated cosmetic and medical skin care center dedicated to meeting the unique skin care needs of our patients with caring, professionalism and unending pursuit of excellence. At Chevy Chase Dermatology, we not only strive to provide our patients with the best possible care but want all of them to feel valued and respected. Dr. Margaret Sommerville is the founder of Chevy Chase Dermatology and our Medical Director. She is the graduate of the George Washington University Medical School and is board certified by the American Board of Dermatology. Dr. Sommerville draws on over fifteen years of clinical private practice experience coupled with an avid pursuit of the most current dermatologic knowledge. Her concern for the well-being of her patients is expressed in every facet of their office visit, from the initial consultation to follow-up care. 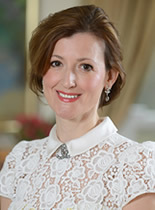 Dr. Sommerville is an expert in minimally-invasive skin rejuvenation and acne treatment techniques. 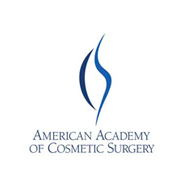 She is a Fellow of the American Academy of Dermatology as well as a member of the American Society of Cosmetic Dermatology and Aesthetic Surgery and American Society of Cosmetic Laser Surgery. 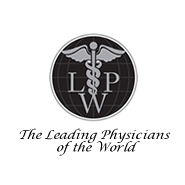 In 2010, for her leadership and achievement in the field of dermatology and skin care, Dr. Sommerville was recognized by the International Association of Dermatologists as one of the Leading Physicians of the World. Dr. Sommerville has been selected as one of “America’s Top Dermatologists” by the Consumers’ Research Council of America. For outstanding contributions to the field of medicine and healthcare, Dr. Sommerville was recognized in July, 2009 by the American Biographical Institute as the "Woman of the Year in Medicine and Healthcare". Her Chevy Chase, MD dermatology practice is conveniently located near the Friendship Heights Metro station and is easily accessible from the entire Washington DC metropolitan area including; Bethesda, Potomac, Rockville, Silver Spring in Maryland; as well as Northern Virginia and surrounding areas.